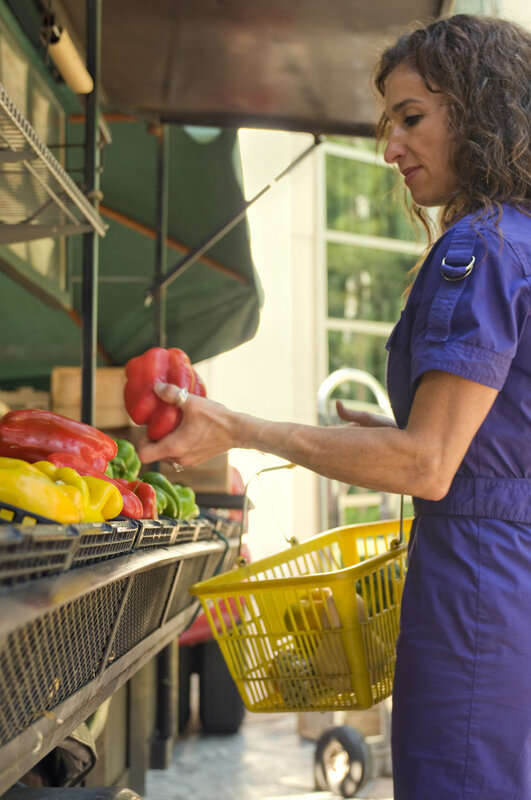 The woman pictured here was choosing an array of healthy fruits and vegetables at a mobile produce market, and placing her choices into a yellow plastic basket she'd held in her right hand. Here she was inspecting a bright red bell pepper, turning it around in her left hand, checking it for any external abrasions or bruising. Bell peppers are a mild pepper, high in its vitamins A and C, and a great colorful addition to any meal.